"The Kakapo (Māori: kākāpō, meaning night parrot), Strigops habroptila (Gray, 1845), also called owl parrot, is a species of large, flightless nocturnal parrot endemic to New Zealand." "The Kakapo is critically endangered; as of February 2010, only 122 living individuals are known, most of which have been given names.The common ancestor of the Kakapo and the genus Nestor became isolated from the remaining parrot species when New Zealand broke off from Gondwana, around 82 million years ago. 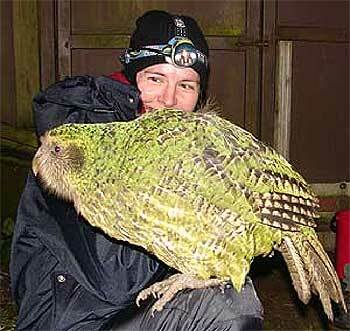 Around 70 million years ago, the kakapo diverged from the genus Nestor. 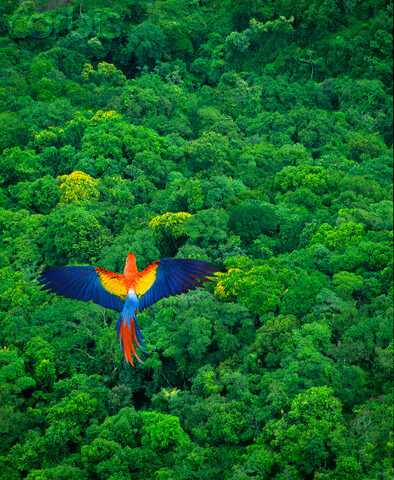 In the absence of mammalian predators, it lost the ability to fly." "Because of Polynesian and European colonisation and the introduction of predators such as cats, rats, and stoats,the Kakapo was almost wiped out. Conservation efforts began in the 1890s, but they were not very successful until the implementation of the Kakapo Recovery Plan in the 1980s. As of January 2009, surviving Kakapo are kept on two predator-free islands, Codfish (Whenua Hou) and Anchor islands, where they are closely monitored." http://en.wikipedia.org/wiki/Kakapo Good old wikipedia link if you'd like to have a read. MandyG wrote: I was just taking a look at it. haha ive meet that kakapo he is very cute but did try it on with the tour guide!!! i cant believe that some of you havnt heard of the kakapo living in nz myself made me so aware of all our national birds and there sizing i have meet all of them in person and held/pet/touched all of them exept for the kiwi (as its so rare but i have seen one being the glass and the pukeko (not really sure why . my av of all iis the kea! they r cheacky birds that reduse the world to toothpics. anyways i loved the crossword!! i thought it was fun. although i did it with some of my friends and because they werent really knowlegable about birds they didnt know the answers. but for a bird lover it was great! [quote="Shani"], it lost the ability to fly." New here, but I thought that I would give this a try. Amazingly I knew most, google helped with a few, but I was just S-T-U-C-K on 1 and 3 across. Nice crossword! It took me about a minute though!